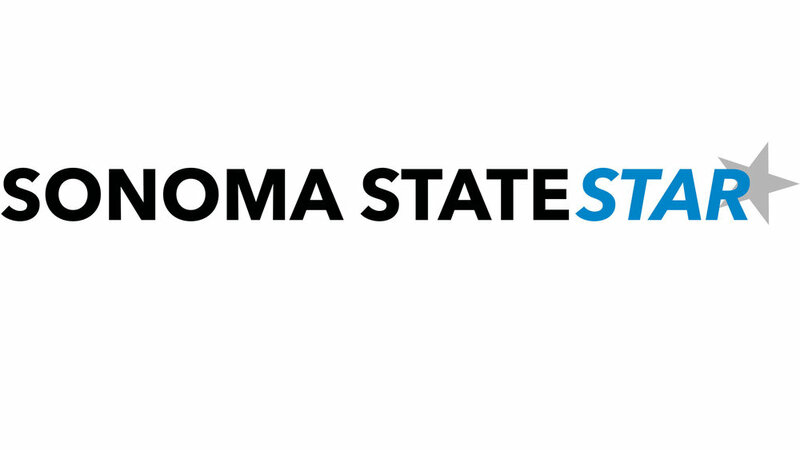 The Sonoma State University campus has began to prepare students for life after graduation through different clubs and societies on campus. The Pre-Law Society is a student organization on campus that consists of students who are interested in law and/or legal careers. This society plans different workshops and law school admissions events throughout the year, including different speaker sessions, practice Law School Admission Tests (LSAT) and also a Law School Forum that happens at the end of the fall semester. The Pre-Law Society wishes to help other students on campus make educated decisions on their careers after graduation. This society works with other clubs on campus as well as the Pre-Law advisor to build community and an understanding within one another. The club currently has about 40 members and is free to join. Members of the Pre-Law Society at the Law School Forum in San Francisco. Heather Kelly-Cavanaugh, a fourth year Environmental Studies major, has been the president of the Pre-Law Society for almost two years. Her position consists of many different things, such as informing students about upcoming meetings and new legislation and also inviting representatives from different law schools to guest speak. “This club gives students not only a place to study and ask questions about the LSAT, but also a place for them to ask questions about what schools may be best,” said Kelly-Cavanaugh. There are resources within the club that can help students with any questions as well.” Financial aid information, the difference between an ABA and CBA school and having a chance to talk with professors and alumni…” are all available said Kelly-Cavanaugh. Clara Schroeder, a fourth year Environmental Studies major, is currently the Treasurer of the Pre-Law Society. She said that she ran for this position since she had a personal interest in law and also for support of the club. Schroeder added that this club has given her more information on this topic. “The Pre-Law Society really deepened my understanding of what the law school application is like and what a career in environmental law may look like.” Schroeder plans on graduating in the Spring with a BA in Environmental Studies and planning. Veronica Nicholson, a third year Political Science major, said opportunities like these will help students become more prepared for their careers and that the has gained skills that can be used towards her future. Nicholson is personally apart of the model United Nations (MUN), where she has learned more about this career path. “It has helped me become a better writer when learning how to write position and working papers and a more confident public speaker,” said Nicholson. She added that these clubs and organizations help students feel more comfortable when moving forward in the future. Contact Heather Kelly-Cavanaugh for any additional information, or attend a meeting throughout the semester. There is also a website that has more information as well as sources for readings and photos.